Reigning Asian champion in 800 metres, Tintu Luka hopes to get into peak form for the Rio Olympics as she prepares to run in a couple of tough races in Europe in May and June under two minutes. The 27-year-old athlete from Kannaur, Kerala will be participating in two international competitions in London and Prague on May 28 and June 6, respectively. The legendary P T Usha, who is Luka’s coach, said that her protege had started the season well with a 2.01s race compared to her usual start of 2.03s. 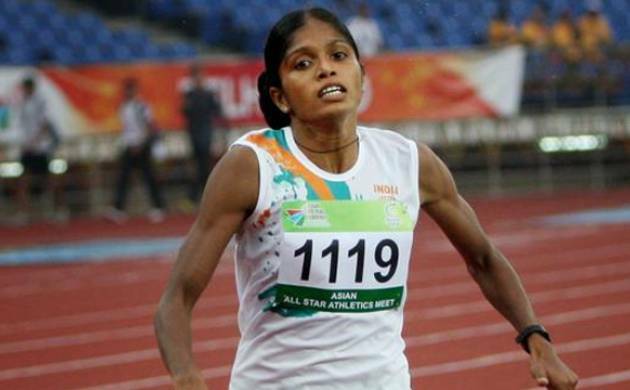 “Tintu usually starts the season with 2.03s but this time she ran a race of 2.01s. We are looking at running some good international competitions in May-June and then more in July,” Usha, who finished fourth in the 400m hurdles at the 1984 Olympics and missed the bronze medal by one-hundredth of a second, said. “Right now, it wouldn’t be correct to say that Tintu is in peak form, but she’s definitely in good nick. I hope the exposure to international competitions will help her get into the zone for Rio. I’m hoping that she will run some good under-two minutes races there. We are also hoping to return to Europe in July for a few more races before the Olympic Games,” she added. The National record-holder Luka, who was amongst the first few Indian athletics to qualify for the Rio Games early, will first compete in the BMC Grand Prix at Watford, London, on May 28, and then at the Josef Odlozil Memorial competition in Prague, Czech Republic on June 6.